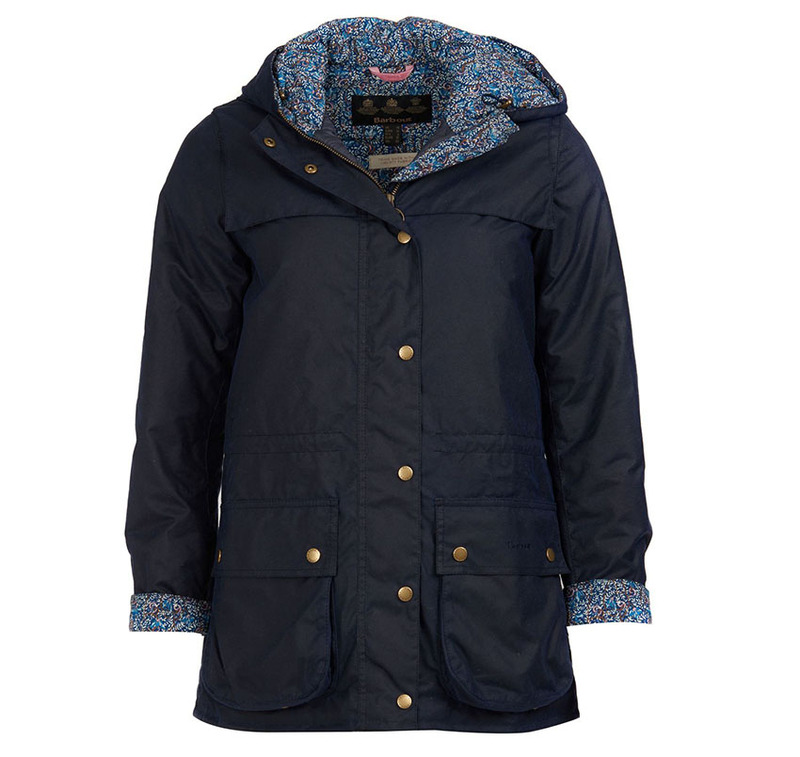 Classic Barbour Durham shape but featuring Liberty print fabrics to the inner front and back yoke with lined hood. Available in Sage with Persiphone & Royal Navy with Fuschia Liberty print trims. Size 10-18. The Abbey wax jacket is based on the classic Beadnell but with a quilted lining & Liberty print trim. Available in Royal Navy/Fuschia and Olive/Persiphone. Size 10 - 18. A classic ladies waxed jacket, available in Navy & Black. Barbour Ladies Belsay Waxed Coat, is part of the Barbour Country Collection. Available in Brown & Olive, both with a brown quilted lining. A classic re-designed in the new 4oz lightweight waxed cotton with a cotton lining, fixed hood, inner drawcord and large bellow pockets. 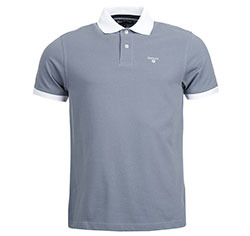 Ideal for the summer showers.. Available in 10 - 18 in Ancient Olive. The Barbour Ladies Rachel Wax jacket is the classic Beadnell shape with this season's Liberty fabrics.